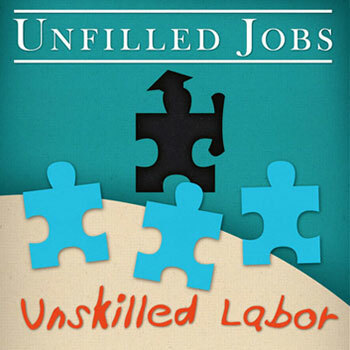 Unfilled Jobs, Unskilled Labor - How do I become a ... ? Source: How Do I Become A? 3,700,000 jobs won’t get filled unless we become skilled. With a 7.3% unemployment rate, 11.6 million people are trying to fill 3.7 million jobs. That’s 3 people trying to fill 1 job. Why are there still 3.7 million open, and unfilled jobs? Jobs require more education than before. But we’re not producing enough postsecondary educated workers. We’re creating 300,000 too few postsecondary workers a year to keep up with demand. By 2018, we’ll be 3 million postsecondary educated workers short of new demand. With job growth occurring in areas needing more education. 2nd most common award after BA. With several courses boasting 100,000’s of students. Get skilled and fill a job.